I first got to know Yoga in Nepal 2004, while teaching English in rural Nepali Community Schools. I was fascinated by it and became a teacher myself after some years. Besides studying Music at the University for Music and Arts in Vienna, Yoga became more and more important to me. Whenever I had the possibility, I joined further trainings. It is such a blessing to explore and dive deep into all the different aspects of Yoga and everything that is connected to it. I am very thankful for all the great opportunities I had, to study with inspiring teachers. I am professionally trained in Childrenyoga, Yoga for Youth, Pre- and Postnatal Yoga, Hormonyoga, Baby Massage, Positive Birth, Breathwalk, Hatha Yoga, Kundalini Yoga, Yoga for people with Disabilities, Meridian Yoga and Sat Nam Rasayan. I am a teacher trainer for Children Yoga, Hatha Yoga and Pre- & Postnatal Yoga for different Institutions (3HO Children Yoga Germany, Freiraum Institut, Sport Union Academy Vienna and Sat Nam Kids). The other constant companion in my life besides Yoga is Art, especially Music. I studied classical singing at the faculty of Musical Education and Philosohpy/Psychology in Vienna. By chanting and allowing us to open ourselves to the Naad, we receive the possibility to reconnect to our true selfs, to flow with the all permeating joy and bliss of life and heal ourselves. We are able to listen “Suniai” to our own souls melody and enter a state where everything is possible, because we simply are, who we are. 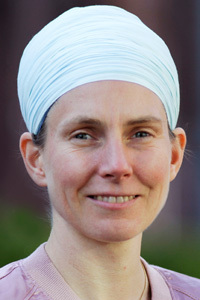 Sahib Kaur is an international Teacher Trainer of Yoga for Children and Kundalini Yoga. She is in deep contact with yoga and spirituality since she started Kundalini Yoga age 22. Language. She holds a BA in German language and literature and also studied philosophy in Hamburg University. She is co-founder to two Teacher Trainings. One is Sat Nam Kids, an international NGO and Teacher Training. The other is German based 3HO Children and Youth Yoga Teacher Training. In the moment she does as well teach in both organisations and is part of the leading body. 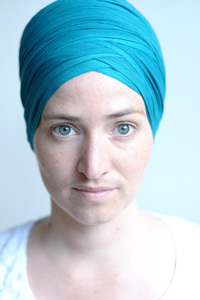 Kundalini Yoga Level 1 she teaches under Shiv Charan Singh, who is her teacher and mentor. She is also trained in Karam Kriya. This is a communication and consultancy Training which is based on numerology, Kundalini Yoga and Sikh Dharma, developed by Shiv Charan Singh. Sahib lives in Hamburg, Germany, where she also works as a life coach and consultant, both in person and via skype. She does lead her own workshop series called the “Soulstar Sessions”.